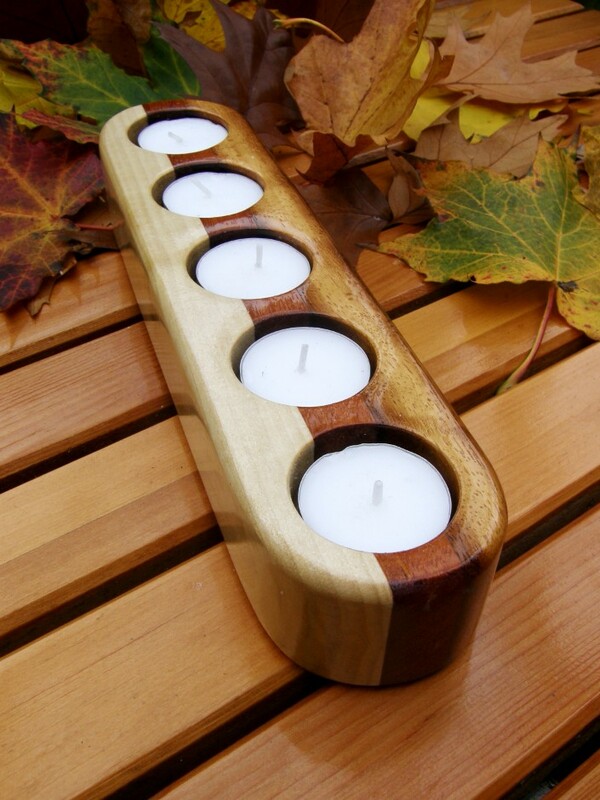 The Marram Candlelights are Handmade in Laminated Timbers. This Five Light features Maple, Iroko & Walnut with Lacquered finish. Each Candlelight is Unique and Timber Combinations and Size will vary.